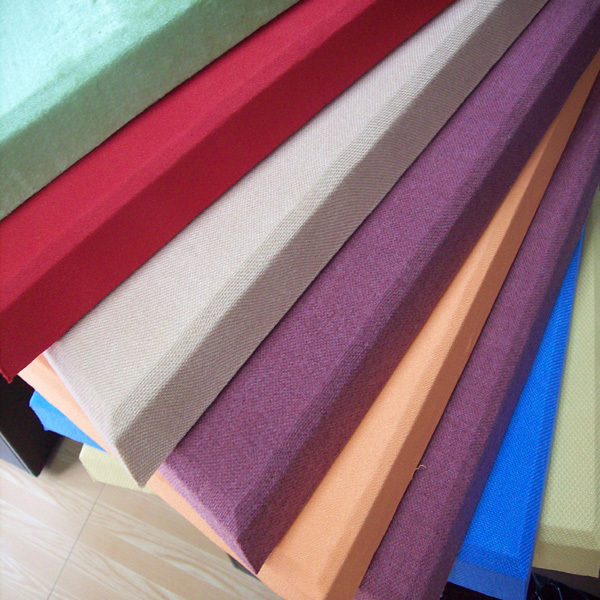 Substrate: This product uses high density sound absorbent cotton as the substrate. Border: Use flame retardant resin frame. Decorative cloth: the use of well-known brands of sound-absorbing fabric or leather after a special treatment after the complex. Main features: a strong sound-absorbing, thermal insulation, flame retardant, mildew moisture, light, durable and other properties, and the color and diverse, excellent decorative effect. Scope: Gymnasium, theaters, auditoriums, television stations, concert halls, conference rooms, industrial noise reduction plant, multi-function hall, KTV rooms, restaurants, business hall, indoor sports venues, personal privacy and so on. 1, the product structure - resin curing frame, placed within the non-combustible micro-hole treatment of the special sound-absorbing cotton, fire-absorbing sound-absorbing cloth. 2, common models - square angle, bevel, big bevel. 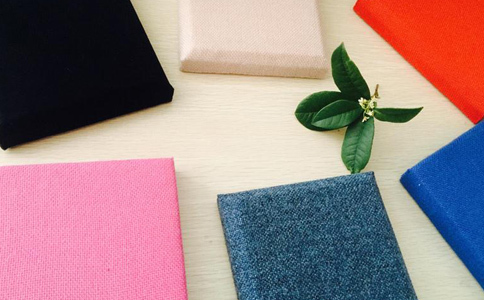 1, cloth sound absorption board with a variety of colors and patterns of the fabric to choose from, but also by the customer to provide decorative cloth. 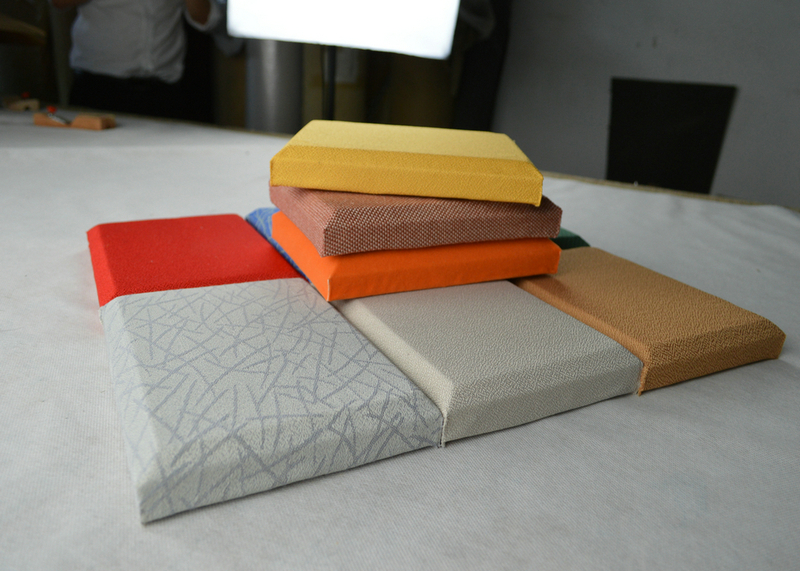 And according to the requirements of acoustic decoration or the owner, adjust the fabric, the box material. 2, high sound absorption spectrum, low, medium and high frequency noise have a better sound absorption effect. With fire retardant, no dust pollution, decorative strong, simple construction and so on. For the need to do sound quality design of the various high and intermediate decoration places: hotel restaurants, offices, theaters, theaters, gymnasiums, recording studios, studio, conference hall, dance halls, gym, exchange, business hall, karaoke OK, Bowling hall, language lab, rehearsal hall, hospital, library, station waiting room, restaurant, audition room, home theater and son.